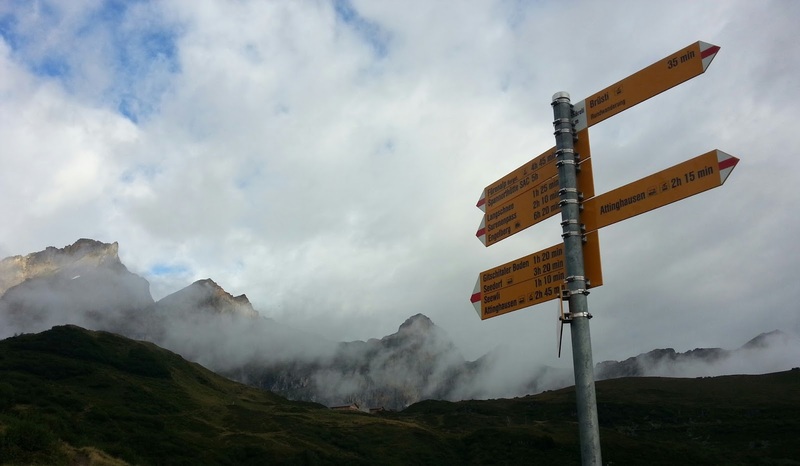 Another long day on our 8 day walk from Sargans to Grindelwald along the Alpine Pass Route. We had an early breakfast son that we could catch the small gondola lift from Attinghausen to Brusti before the rush. We were walking by 8.30am and the rain was clearing with the sun trying to break through. Nice little ridge as we climbed higher to the saddle of Angistock. Then we lost quite a bit of height as we avoided a slope prone to rockfall. 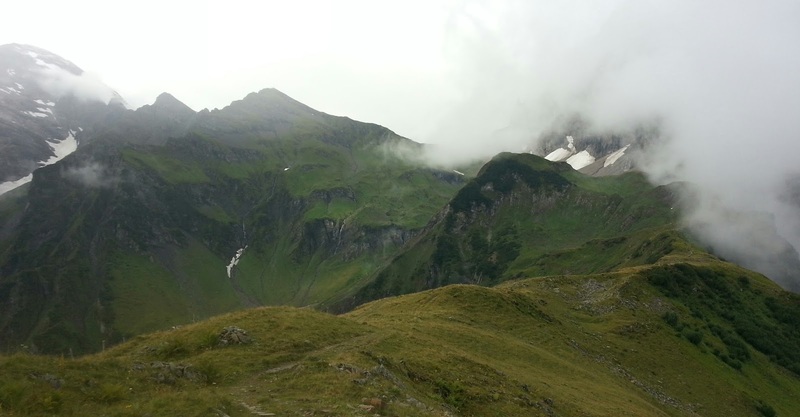 Then up to the Surenen Pass at 2291m by late morning. It was cold but still dry. We dropped down to a ski hut (about the size of a garden shed) to have lunch inside. Shortly after leaving the rain returned and continued for the rest of the day. No views or photos after this. Stopped at hut for hot soup and a break from the rain. Then down for another hour or so to another hut for a beer. Really heavy rain for the rest of the descent. We arrived at our hotel at 5.30pm looking like drowned rats! 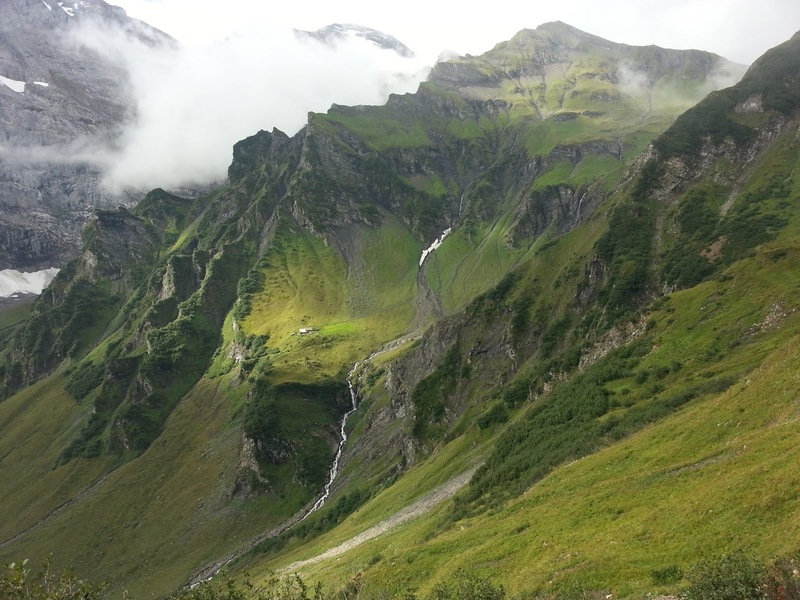 Tomorrow we walk to Meiringen with better weather forecast. Fingers crossed.